Many people are confused by advance directives. They are unsure what type of directives are out there, and whether they even need directives at all, especially if they are young. There are several types of advance directives. One is a living will, which communicates what type of life support and medical treatments, such as ventilators or a feeding tube, you wish to receive. Another type is called a health care power of attorney. In a health care power of attorney, you give someone the power to make health care decisions for you in the event are unable to do so for yourself. A third type of advance directive for health care is a do not resuscitate order. A DNR order is a request that you not receive CPR if your heart stops beating or you stop breathing. Depending on the laws in your state, the health care form you execute could include all three types of health care directives, or you may do each individually. If you are 18 or over, it’s time to establish your health care directives. Although no one thinks they will be in a medical situation requiring a directive at such a young age, it happens every day in the United States. People of all ages are involved in tragic accidents that couldn’t be foreseen and could result in life support being used. If you plan in advance, you can make sure you receive the type of medical care you wish, and you can avoid a lot of heartache to your family, who may be forced to guess what you would want done. Many people do not want to do health care directives because they may believe some of the common misperceptions that exist about them. People are often frightened to name someone to make health care decisions for them, because they fear they will give up the right to make decisions for themselves. However, an individual always has the right, if he or she is competent, to revoke the directive or make his or her own decisions. Some also fear they will not be treated if they have a health care directive. This is also a common myth – the directive simply informs caregivers of the person you designate to make health care decisions and the type of treatment you’d like to receive in various situations. Planning ahead can ensure that your treatment preferences are carried out while providing some peace of mind to your loved ones who are in a position to direct them. A family feud over an inheritance is not a game and there is no prize package at the end of the show. Rather, disputes over who gets your property after your death can drag on for years and deplete your entire estate. When most people are preparing their estate plans, they execute wills and living trusts that focus on minimizing taxes or avoiding probate. However, this process should also involve laying the groundwork for your estate to be settled amicably and according to your wishes. Communication with your loved ones is key to accomplishing this goal. 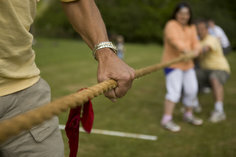 Feuds can erupt when parents fail to plan, or make assumptions that prove to be untrue. Such disputes may evolve out of a long-standing sibling rivalry; however, even the most agreeable family members can turn into green-eyed monsters when it comes time to divide up the family china or decide who gets the vacation home at the lake. Avoid assumptions. Do not presume that any of your children will look out for the interests of your other children. To ensure your property is distributed to the heirs you select, and to protect the integrity of the family unit, you must establish a clear estate plan and communicate that plan – and the rationale behind certain decisions – to your loved ones. In formulating your estate plan, you should have a conversation with your children to discuss who will be the executor of your estate, or who wants to inherit a specific personal item. 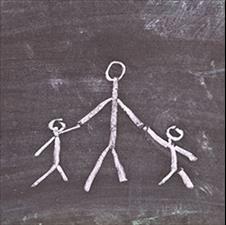 Ask them who wants to be the executor, or consider the abilities of each child in selecting who will settle your estate, rather than just defaulting to the eldest child. This discussion should also include provisions for your potential incapacity, and address who has the power of attorney. Do not assume any of your children want to inherit specific items. 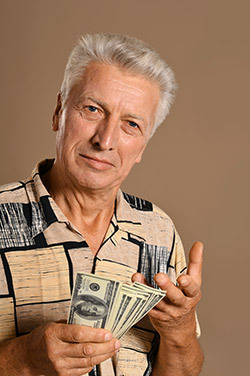 Many heirs fight as much over sentimental value as they do monetary items. Cash and investments are easily divided, but how do you split up Mom’s engagement ring or the table Dad built in his woodshop? By establishing a will or trust that clearly states who is to receive such special items, you avoid the risk that your estate will be depleted through costly legal proceedings as your children fight over who is entitled to such items. Discuss your estate planning with your family. Ask for their input and explain anything “unusual,” such as special gifts of property or if the heirs are not inheriting an equal amount. Name guardians for your minor children. Write a letter, outside of your will or trust, that shares your thoughts, values, stories, love, dreams and hopes for your loved ones. Select a special, tangible gift for each heir that is meaningful to the recipient. Explain to your children why you have appointed a particular person to serve as your trustee, executor, agent or guardian of your children. If you are in a second marriage, make sure your children from a prior marriage and your current spouse know that you have established an estate plan that protects their interests. With such similar sounding names, many Americans mistake Medicare and Medicaid programs for one another, or presume the programs are as similar as their names. While both are government-run programs, there are many important differences. Medicare provides senior citizens, the disabled and the blind with medical benefits. Medicaid, on the other hand, provides healthcare benefits for those with little to no income. 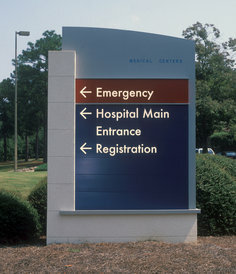 Medicare is a public health insurance program for Americans who are 65 or older. The program does not cover long-term care, but can cover payments for certain rehabilitation treatments. 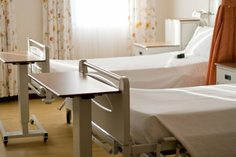 For example, if a Medicare patient is admitted to a hospital for at least three days and is subsequently admitted to a skilled nursing facility, Medicare may cover some of those payments. However, Medicare payments for such care and treatment will cease after 100 days. Medicaid is a state-run program, funded by both the federal and state governments. Because Medicaid is administered by the state, the requirements and procedures vary across state lines and you must look to the law in your area for specific eligibility rules. The federal government issues Medicaid guidelines, but each state gets to determine how the guidelines will be implemented. During the estate planning process, your attorney will draft a number of legal documents such as a will, trust and power of attorney which will help you accomplish your goals. While these legal documents are required for effective planning, they may not sufficiently convey your thoughts and wishes to your loved ones in your own words. A letter of instruction is a great compliment to your “formal” estate plan, allowing you to outline your wishes with your own voice. This letter of instruction is typically written by you, not your attorney. Some attorneys may, however, provide you with forms or other documents that can be helpful in composing your letter of instruction. Whether your call this a "letter of instruction" or something else, such a document is a non-binding document that will be helpful to your family or other loved ones. There is no set format as to what to include in this document, though there are a number of common themes. First, you may wish to explain, in your own words, the reasoning for your personal preferences for medical care especially near the end of life. For example, you might explain why you prefer to pass on at home, if that is possible. Although this could be included in a medical power of attorney, learning about these wishes in a personalized letter as opposed to a sterile legal document may give your loved ones greater peace of mind that they are doing the right thing when they are charged with making decisions on your behalf. You might also detail your preferences regarding a funeral, burial or cremation. These letters often include a list of friends to contact upon your death and may even have an outline of your own obituary. names, addresses, and phone numbers of all children, grandchildren, or other named beneficiaries. In drafting your letter, you simply need to think about what information might be important to those that would be in charge of your affairs upon your death. This document should be consistent with your legal documents and updated from time to time. There are many factors to consider when deciding whether or not to implement Medicaid planning. If you’re in good health, now would be the prime time to do this planning. The main reason is that any Medicaid planning may entail using an irrevocable trust, or perhaps gifts to your children, which would incur a five-year look back for Medicaid qualification purposes. The use of an irrevocable trust to receive these gifts would provide more protection and in some cases more control for you. As an example, if you were to gift assets directly to a child, that child could be sued or could go through a divorce, and those assets could be lost to a creditor or a divorcing spouse even though the child had intended to hold those assets intact in case they needed to be returned to you. If instead, you had used an irrevocable trust to receive the gifted assets, those assets would not have been considered the child’s and therefore would not have been lost to the child’s creditor or a divorcing spouse. You need to understand that doing this type of planning, and using the irrevocable trust, may mean that those assets are not available to you and therefore you need to be comfortable with that structure. Depending upon the size of your estate, and your sources of income, perhaps you have sufficient assets to pay for your own care for quite some time. You should work closely with an attorney knowledgeable about Medicaid planning as well as a financial planner that can help identify your sources of income should you need long-term care. Also, you should look into whether or not you could qualify for long-term care insurance, and how much the premiums would be on that type of insurance. This question presents a fairly common issue posed to estate planning attorneys. The solution is also pretty easy to address in your will, trust and other estate planning documents, including any guardianship appointment for your minor children. First, its important to note that you should not delay establishing an estate plan pending the birth of a new child. In fact, if your planning is done right you most likely will not need to modify your estate plan after a new child is born. The problem with waiting is that you cannot know what tomorrow will bring and you could die, or become incapacitated and not having any type of plan is a bad idea. In terms of how an estate plan can provide for “after-born” children, there are a few drafting techniques that can address this issue. For example, in your will, it would refer to your current children typically by name and their date of birth. Then, your will would provide that any reference to the term "your children" would include any children born to you, or adopted by you, after the date you sign your will. In addition, in the section or article of your will that provides how your estate and assets will be divided, it could simply provide that your estate and assets will be divided into separate and equal shares, one each for "your children." That would mean that whatever children you have at the time of your death would receive a share and thus the will would work as you intend, even if you did not amend it after having a new child. On a side note, you should make certain that your plan does not give the children their share of your estate outright while they are still young. Rather, your will or living trust should provide that the assets and money are held in a trust structure until they are reach a certain age or achieve certain milestones such as college graduation or marriage. Any good estate planning attorney should be able to advise you about this and help walk you through the various options you have available to you. Before transferring your home to your children, there are several issues that should be considered. Some are tax-related issues and some are none-tax issues that can have grave consequences on your livelihood. The first thing to keep in mind is that the current federal estate tax exemption is currently over $5 million and thus it is likely that you may not have an estate tax issue anyway. If you are married you and your spouse can double that exemption to over $10 million. So, make sure the federal estate tax is truly an issue for you before proceeding. Second, if you gift the home to your kids now they will legally be the owners. If they get sued or divorced, a creditor or an ex- in-law may end up with an interest in the house and could evict you. Also, if a child dies before you, that child’s interest may pass to his or her spouse or child who may want the house sold so they can simply get their money. Third, if you give the kids the house now, their income tax basis will be the same as yours is (the value at which you purchased it) and thus when the house is later sold they may have to pay a significant capital gains tax on the difference. On the other hand if you pass it to them at death their basis gets stepped-up to the value of the home at your death, which will reduce or eliminate the capital gains tax the children will pay. Fourth, if you gift the house now you likely will lose some property tax exemptions such as the homestead exemption because that exemption is normally only available for owner-occupied homes. 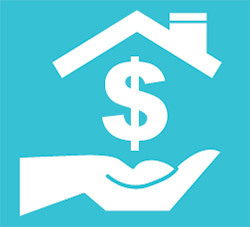 Fifth, you will still have to report the gift on a gift tax return and the value of the home will reduce your estate tax exemption available at death, though any future appreciation will be removed from your taxable estate. Finally, there may be more efficient ways to do this through the use of a special qualified personal residence trust. Given the multitude of tax and practical issues involved, it would be best to seek the advice of an estate planning attorney before making any transfers of your property. There are certain considerations that should be kept in mind for those with chronic illnesses. Before addressing this issue, there should be some clarification as to the definition of "chronically ill." There are at least two definitions of chronically ill. The first is likely the most common meaning, which is an illness that a person may live with for many years. Diseases such as diabetes, cardiovascular disease, lupus, multiple sclerosis, hepatitis C and asthma are some of the more familiar chronic illnesses. Contrast that with a legal definition of chronic illness which usually means that the person is unable to perform at least two activities of daily living such as eating, toileting, transferring, bathing and dressing, or requires considerable supervision to protect from crisis relating to health and safety due to severe impairment concerning mind, or having a level of disability similar to that determined by the Social Security Administration for disability benefits. Having said all of that, the estate planning such a person may undertake will likely be similar to that of a healthy person, but there will likely be a higher sense of urgency and it will be much more "real" and less "hypothetical." Most healthy individuals view the estate planning they establish as not having any applicability for years, perhaps even decades. Whereas a chronically ill person more acutely appreciates that the planning he or she does will have real consequences in his or her life and the life of loved ones. Some of the most important planning will center around who the person appoints as his or her health care decision maker and also who is appointed to handle financial affairs. a will and/or revocable living trust will play a central role in the person's planning as well. Care should also be taken to address possible Medicaid planning benefits. A consultation with an estate planning and elder law attorney is critical to ensuring all necessary planning steps are contemplated and eventually implemented. Most people develop an estate plan as a way to transfer wealth, property and their legacies on to loved ones upon their passing. This transfer, however, isn’t always as seamless as one may assume, even with all of the correct documents in place. What happens if your eldest son doesn’t want the family vacation home that you’ve gifted to him? Or your daughter decides that the classic car that was left to her isn’t worth the headache? When a beneficiary rejects a bequest it is technically, or legally, referred to as a "disclaimer." This is the legal equivalent of simply saying "I don't want it." The person who rejects the bequest cannot direct where the bequest goes. Legally, it will pass as if the named beneficiary died before you. Thus, who it passes to depends upon what your estate planning documents, such as a will, trust, or beneficiary form, say will happen if the primary named beneficiary is not living. Now you may be thinking why on earth would someone reject a generous sum of money or piece of real estate? There could be several reasons why a beneficiary might not want to accept such a bequest. Perhaps the beneficiary has a large and valuable estate of their own and they do not need the money. By rejecting or disclaiming the bequest it will not increase the size of their estate and thus, it may lessen the estate taxes due upon their later death. Another reason may be that the beneficiary would prefer that the asset that was bequeathed pass to the next named beneficiary. Perhaps that is their own child and they decide they do not really need the asset but their child could make better use of it. Another possible reason might be that the asset needs a lot of upkeep or maintenance, as with a vacation home or classic car, and the person may decide taking on that responsibility is simply not something they want to do. By rejecting or disclaiming the asset, the named beneficiary will not inherit the "headache" of caring for, and being liable for, the property. To avoid this scenario, you might consider sitting down with each one of your beneficiaries and discussing what you have in mind. This gives your loved ones the chance to voice their concerns and allows you to plan your gifts accordingly. If you are a parent and you are considering estate planning, one of the most difficult decisions you will have to make is choosing a guardian for your minor children. It is not easy to think of anyone else, no matter how loving, raising your child. Yet, you can make a tremendous difference in your child’s life by planning ahead. The younger your child, the more crucial this choice is, because very young children cannot form or express their own preferences about caregivers. Yet young children are not the only ones who benefit from careful parental attention to guardianship. Children close to 18 years old will be legal adults soon, but, as you well know, may still need assistance of a parental figure after the fact. By naming and talking about your choice of guardian, you can encourage a lifelong bond with a caring family. The nomination of guardians is a straightforward aspect of any family’s estate plan. It can be as basic or detailed as you want. You can simply name the guardian who would act if both you and your spouse were unable to or you can provide detailed guidance about your children and the sort of experiences and family environment you would like for them. Your state court, then, can give strong weight to your expressed wishes. You might find that all or none of these factors are important to you or that there are others that make more sense in your particular situation. The third step is to, match people with priorities. Use the factors you chose in step two to narrow your list of candidates to a handful. For many families, it is as easy as it looks. For others, however, these three steps are fraught with conflict. One common source of difficulty is disagreement between spouses. But, consensus is important. Explore the disagreements to see what information about values and people is important to one another and use all of your strongest communications skills to understand each other’s position before you try to find a solution that you can both feel good about. Step four is to make it positive. For some parents, getting past this decision quickly is the best way to achieve peace of mind and happiness. For others, choosing a guardian can be the start of an intensive relationship-building process. An attorney who understands where you and your spouse fall on that spectrum can counsel you appropriately. The bond between a grandparent and grandchild is a very special one based on respect, trust and unconditional love. When preparing one’s estate plan, it’s not at all uncommon to find grandparents who want to leave much or all of their fortune to their grandchildren. With college tuition costs on the rise, many seniors are looking to ways to help their grandchildren with these costs long before they pass away. Fortunately, there are ways to “gift” an education with minimal consequences for your estate and your loved ones. The options for your financial support of your heirs’ education may vary depending upon the age of the grandchild and how close they are to actually entering college. If your grandchild is still quite young, one of the best methods to save for college may be to make a gift into a 529 college savings plan. This type of plan was approved by the IRS in Section 529 of the Internal Revenue Code. It functions much like an IRA in that the appreciation of the investments grows tax deferred within the 529 account. In fact, it is likely to be "tax free" if the money is eventually used to pay for the college expenses. Another possible bonus is that you may get a tax deduction or tax credit on your state income tax return for making such an investment. You should consult your own tax advisor and your state's rules and restrictions. 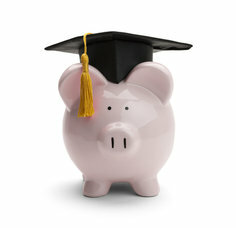 If your granddaughter or grandson is already in college, the best way to cover their expenses would be to make a payment directly to the college or university that your grandchild attends. Such a "gift" would not be subject to the annual gift tax exemption limits of $14,000 which would otherwise apply if you gave the money directly to the grandchild. Thus, as long as the gift is for education expenses such as tuition, and if the payment is made directly to the college or university, the annual gift tax limits will not apply. As with all financial gifts, it’s important to consult with your estate planning attorney who can help you look at the big picture and identify strategies which will best serve your loved ones now and well into the future. A Living Will or Health Care Power of Attorney? Or Do I Need Both? What is Estate Tax Portability? Do You Know Where the Documents Are? Setting Up Your Estate Plan? Done Your Healthcare Directives – Now What? Attorney Leasa Baugher assists clients with Estate Planning, Medicaid Planning, Elder Law, and Probate throughout Illinois. We are based in the Chicago area serve all of Dupage County, Cook Couty, Kane County, and surrounding Chicago cities including but not limited to Medinah, Schaumburg, Bloomingdale, Itasca, West Chicago, Glendale Heights, Carol Stream, Barlett, Addison, Wood Dale, Wheaton, Glen Ellyn, Winfield, Arlington Heights, Mount Prospect, and Elgin.